Thought3D (Malta) had recently released its range of smart adhesive formulations, which are particularly designed for 3D printing. The adhesives are intended to work with a heated bed, sticking when the bed is hot and to release as soon as it cools down. This is said to increase the reliability along with throughput. Magigoo PP-GF which is part of the adhesive line was specifically designed in partnership with Owens Corning to work with their XSTRAND GF30-PP material, which is composed of 30% glass fiber and a polypropylene filament for 3D printing. XSTRAND GF30-PP is used in the manufacturing of tooling and end use parts which are directed for use in transportation, electronics, appliances and equipment and sports industries. 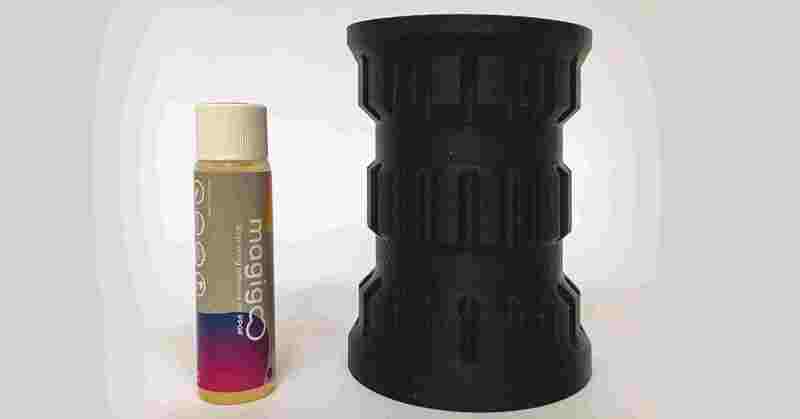 Magigoo PP-GF assists in the first layer adhesion for demanding prints using the material. Co-Founder of Thought3D Andrei-Andy Linnas says “It was a particularly interesting challenge to come up with a specialty adhesive for this material as it is well known that it is difficult to adhere polyolefin materials to other types of materials. Introducing glass fibres in the material required a completely new adhesion technology and formulation. Our hard-working team did it in a record four months and we are happy with the results. We will work closely with OwensCorning to bring Magigoo PP-GF closer to the end users in coming months. We are sure it will improve the printing performance of this really functional and strong material.”. This collaboration portrays the growing importance of 3d printing in composites industry keeping in mind the rising demand for faster production requirements in various industries. According to Stratview Research, the 3D-printed composites market is rising rapidly and is projected to reach US$ 111.1 million in 2022. In the composites industry, 3D printing technology is relatively new and unheralded, but it has now got successful in gaining ground, driven by its advantages of low part cycle time, high efficiency, compatibility with all possible material combinations, and lower material wastage. Stay tuned to the latest news and reports on composites, chemicals, automotive, aerospace, and other industries by following us on Linkedin, Twitter, and Facebook.